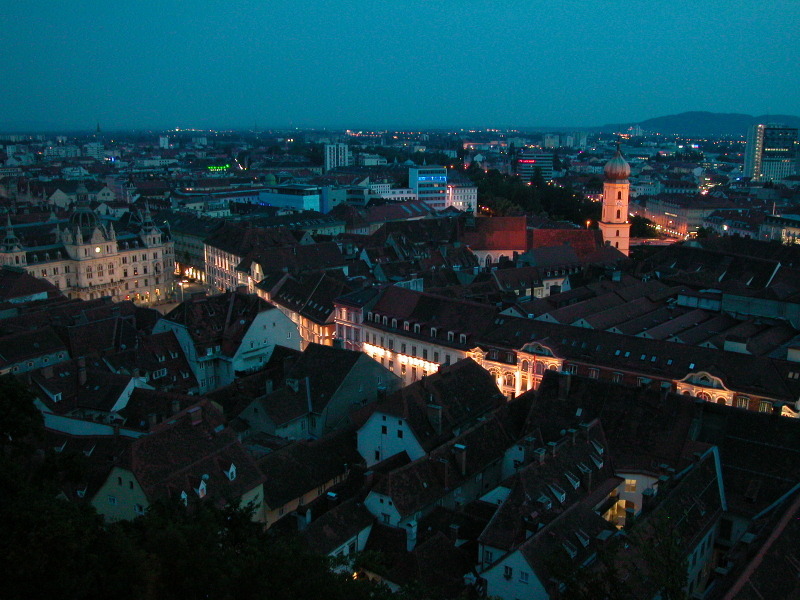 Graz is the second largest city in Austria. 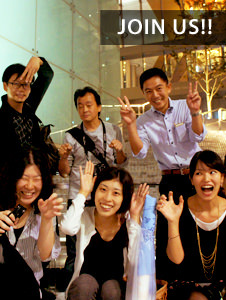 The Mor River runs through the center, with old cityscape and warm-colored street lighting giving the city a cozy feel. On the other hand, Kunst Haus and other newer architecture have added an element of the arts with a system of reflection streetlights also creating a new face for this city of culture. From the top of castle hill, with its large clock tower, Uhrturm, the City of Graz is in full view. Photo to the right, city hall offices in the city center. The building facades along Herrengasse Street are also up lit for a festive atmosphere as the sun goes down. The Kunst Haus, built along the Mor River and in the middle of the old cityscape, resembles a spaceship just blasting off. 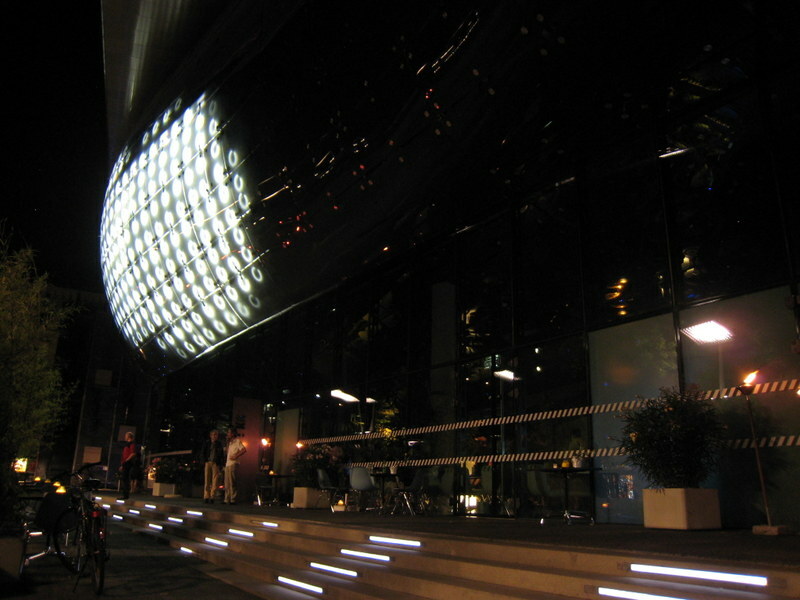 Fluorescent lights are mounted on the main facade and at night a program controls the fixtures, sometimes turning it blazing white. Reflection streetlights in the plaza before city hall. 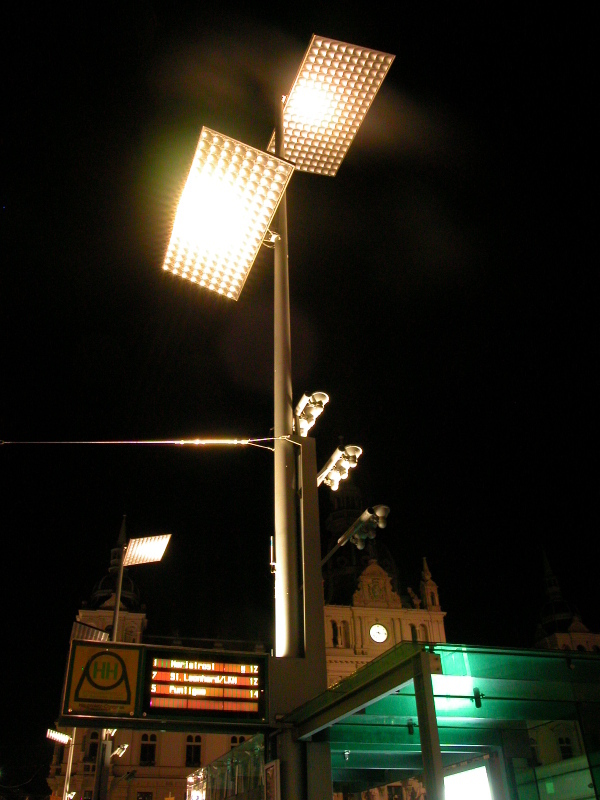 These streetlights are visible in many places throughout the city.